Nassau Paradise Island, Bahamas is known for having some of the most beautiful white sand beaches in the world, turquoise blue water, the Caribbean’s best entertainment and a spectrum of resorts from ultra-exclusive to family-friendly. In October 2016, Warwick Hotels and Resorts is introducing its newest four-star hotel to Paradise Island. Set along the Nassau Harbour, the resort features 250 guest rooms, which have touches of local craftsmanship throughout 12 floors. One of the most noteworthy aspects of the 28 million dollar hotel is its 6,000 square foot terrace, which will overlook the marinas across the harbour. 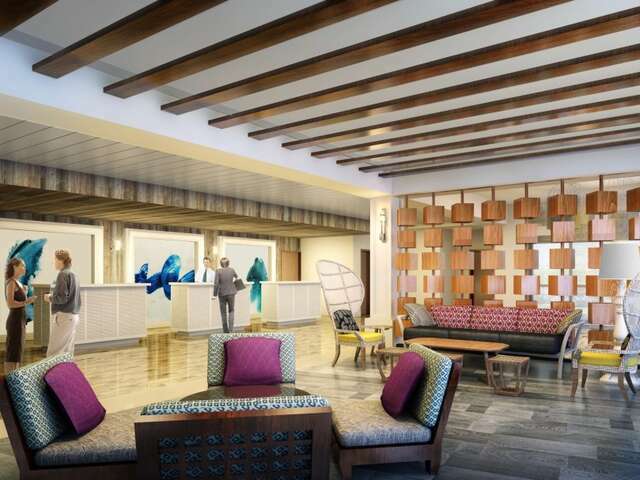 The new resort, named Warwick Paradise Island Bahamas, will welcome guests 18 and older with all-inclusive rates. Only a 10-minute walk from the famous Cabbage Beach, the resort also has great on-site offerings, including three restaurants, a poolside pizzeria and grille, a beach bar, a lobby bar and more. It's called the “Authentic Bahamian Cooking Class & Lunch Experience.” The class offers chef- guided, behind-the-scenes food preparation followed by an authentic Bahamian feast at the 5-star Graycliff Hotel & Restaurant in downtown Nassau. Included with the cooking course is a welcome treat and refreshment, a three-course meal featuring local delicacies including conch chowder and snapper, wine, a private tour of Graycliff’s legendary wine cellar, signature recipes and an “Insider’s Guide to Eating in Nassau” to take home. The class runs on Saturdays from 10:30 a.m. to 2:00 p.m, and private classes are available during the week. Atlantis Resort and Cartoon Network have launched a new partnership to provide activities and programming for families, including a new land-based, Cartoon Network-themed inflatable obstacle course, where guests can experience a We Bare Bears climbing wall and zip line course, a Powerpuff Girls-themed zig-zag maze and slide, a Nerf Super Soaker Flood Zone and more. Children can also take part in themed activities and culinary programs at Atlantis Kids Adventure (AKA) and attend Splash Screenings of their favorite Cartoon Network shows in the evenings. Also new for summer is a dedicated mobile application, Atlantis. The mobile app is designed to provide travelers with the ability to navigate their booking details easily and provide relevant information throughout all stages of the trip, serving as a mobile concierge. The free Atlantis app is available for download through the iTunes App Store and Android Marketplace. The Village Burger Shack located in Marina Village is a family-friendly, casual dining experience with indoor and alfresco seating. The menu offers a selection of gourmet burgers, fresh fish, vegetarian dishes and salads, an extensive list of sides, and unique shake combinations. Nassau Paradise Island in the Bahamas is already a top beach destination, with its island lifestyle easily accessible through non-stop flights from most major eastern U.S. and Canadian cities. Nassau Paradise Island is so close, yet feels like it’s a world away, and now, there are 5 more reasons to visit!